Getting ready for an adventure in New York ! Feeling very excited this week as we are getting ready for an adventure in New York ! 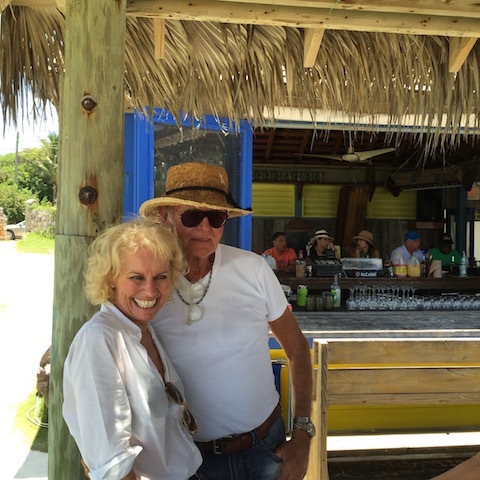 We have a few chores to do in Nassau first but then we are off to Manhattan for an exciting week …… We are staying at the Crosby St Hotel in SoHo – this is a hotel designed, furnished and owned by a great English designer called Kit Kemp and her husband Tim Kemp. They own the company called Firmdale Hotels – and have the one hotel in New York as well as a good few in London….. I have admired her designs for some time but this is the first time I have actually stayed in one of her places. I am looking forward to some real inspiration ! As one of my favorite inspirational characters – Diana Vreeland – famously said ‘ the eye has to travel ‘ We all need to see things that inspire us and will in all sorts of ways influence future projects. It is not about slavishly copying – but it is about storing ideas in your head and filtering them into your own style…..
As you can probably imagine eating out is going to be a highlight – plenty of news on that to follow …..
We are meeting up with friends in the city as well- how lovely to have people showing us around and taking us to their favorite haunts ……. We are starting our trip with an overnight stay at the Island House – a firm favorite of ours now and dinner at Mahogany House ……. check out their Facebook page as well…. Last week we took the children from the Exceptional Learners Centre for their end of term pizza party at Tippy’s. 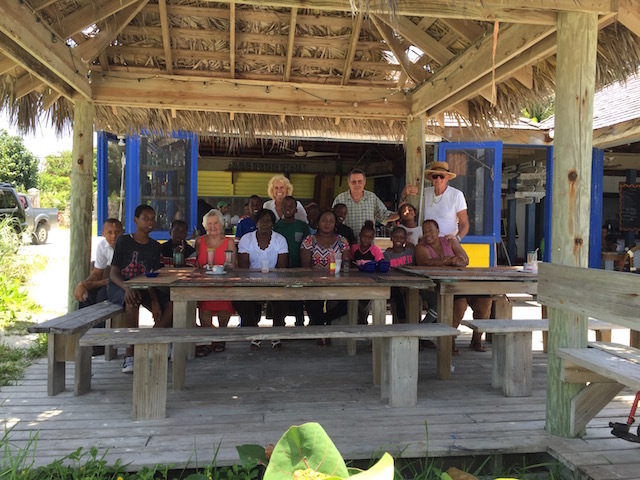 Three of the children are moving on to other schools – one to Nassau , one to Abaco and one to Central Eleuthera High School. So that means some new pupils coming in in September……. 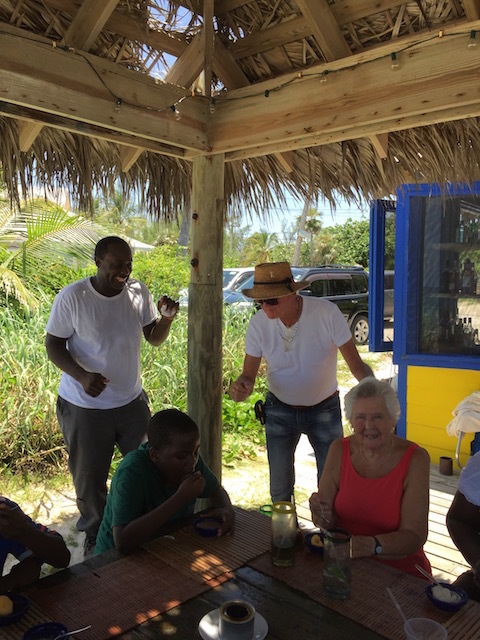 Love this picture of Bob and Cecil Petty grooving to the music ! It was hotter than hell on that day – we have been having a lot of very intense thunder storms over the last week or so – but at least the torrential rain has been filling up the water cisterns ……. 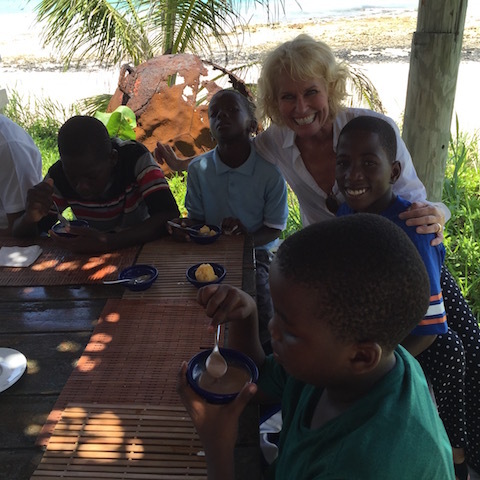 With some of the children – scoffing ice cream …. Also happening while we are away are the One Eleuthera Games – check out the schedule by clicking on the link….. Check out the Facebook page for the Crosby Street Hotel ….. Always makes my heart sing to see Cecil with his big smile. Enjoy New York. Lots of buzz here on the Brits out of the EU..